Presente | #BastaFacebook! 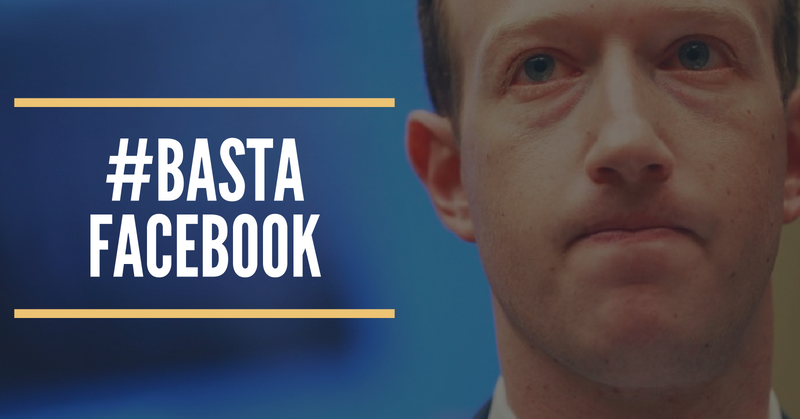 Stop Facebook from stealing data and silencing immigrants! Your new ad policies that require U.S. Citizenship — a U.S. government-issued ID and social security number — to purchase political ads would force users to give up even more sensitive, personal information and would block incredible political activists like DREAMers, who have spent most of their lives in the U.S., from fully engaging in the democratic process via your platform. This is an unacceptable, reckless attempt to divert attention from your disastrous security problems and would keep 11 million U.S. residents, including DREAMers, from fully engaging in our democracy, at such a critical moment in our nation’s history. We urge you to reverse this policy immediately and commit to protecting our privacy and upholding basic civil rights and free speech. Despite a history of compromising its users' personal information, Facebook plans to require a U.S. government-issued ID and the last four digits of people's social security numbers to purchase a political ad. The social media giant broadly identifies a "political ad" as advocating for "national issues of public importance" such as immigration. Under its new ad policies, not only would users be forced to give Facebook even more personal information, but incredible political activists like DREAMers, who have spent most of their lives living in the U.S., would not be allowed to purchase an ad with their point of view on Facebook. Tell Facebook: ¡Basta ya! Let the social media giant know that their new ID requirements for political ad buys are recklessly undemocratic, intrusive, and a pathetic attempt to divert attention from their fundamental security problems.